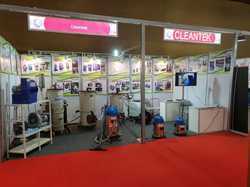 We are participating Exhibition @ Indiawood2018. Its a International Trade Fair for Furniture Production Technologies, Woodworking Machinery, Tools, Fittings, Accessories, Raw Materials and Products. Venue: Bangalore International Exhibition Centre, Bangalore, India. Indian Machine Tool Manufacturers’ Association (IMTMA) will organize its twin show - the 19th edition of IMTEX (IMTEX 2019) and 21st edition of Tooltech (Tooltech 2019) from January 24 - 30, 2019 at Bangalore International Exhibition Centre (BIEC) in Bangalore. CLEANTEK participating in this and demonstrate our products in LIve.